Product code: T981 Categories: Sold Items, Sold Rings. Australia not only produces more opals than any other country, but also the world’s best opals, and here is a lovely Coober Pedy solid white opal and diamond cluster ring that looks magnificent on the finger. Coober Pedy is in South Australia and is famous for their white opals as is found in this ring. Measuring 2.04 carats, it displays a wonderful spectral colour that captures the light from every angle. Surrounded by twelve round brilliant cut diamonds that total 0.84 carats, this cluster part of the ring measures 16.4mm across by 18mm and sits perfectly on the finger. 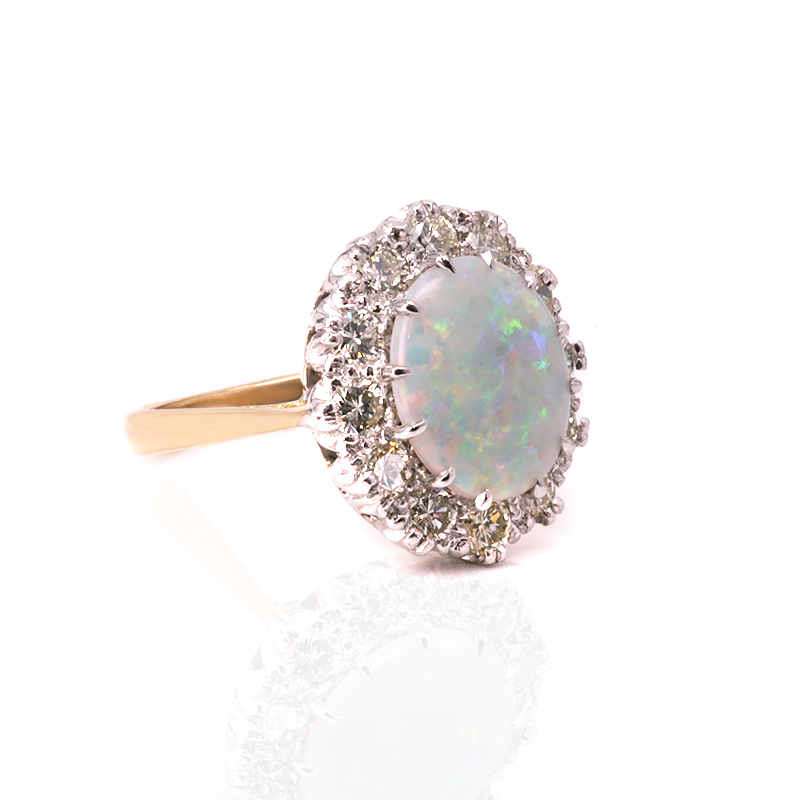 With such a lovely opal and beautiful diamonds to compliment it further, this ring will always be loved and appreciated for its beauty and elegance. Tags: Opal and diamond ring, Opal ring.